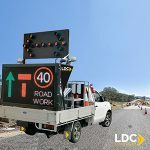 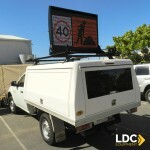 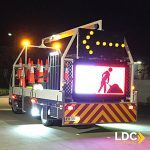 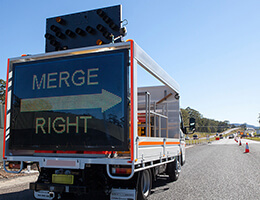 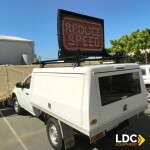 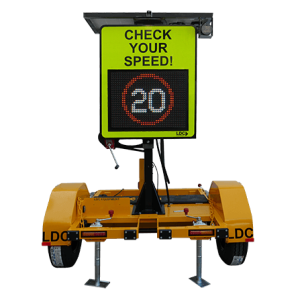 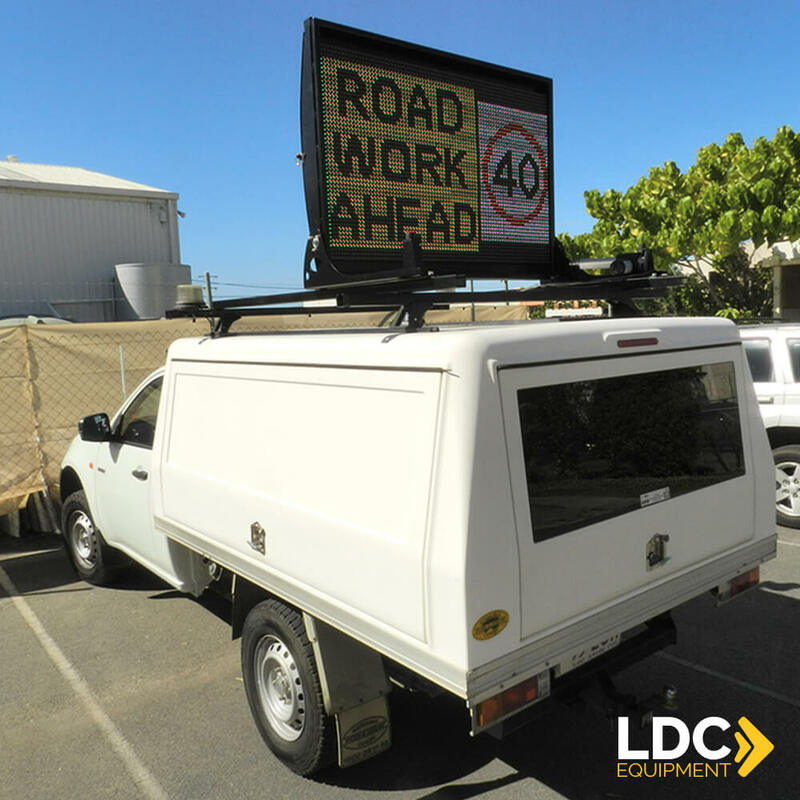 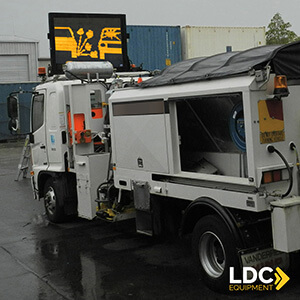 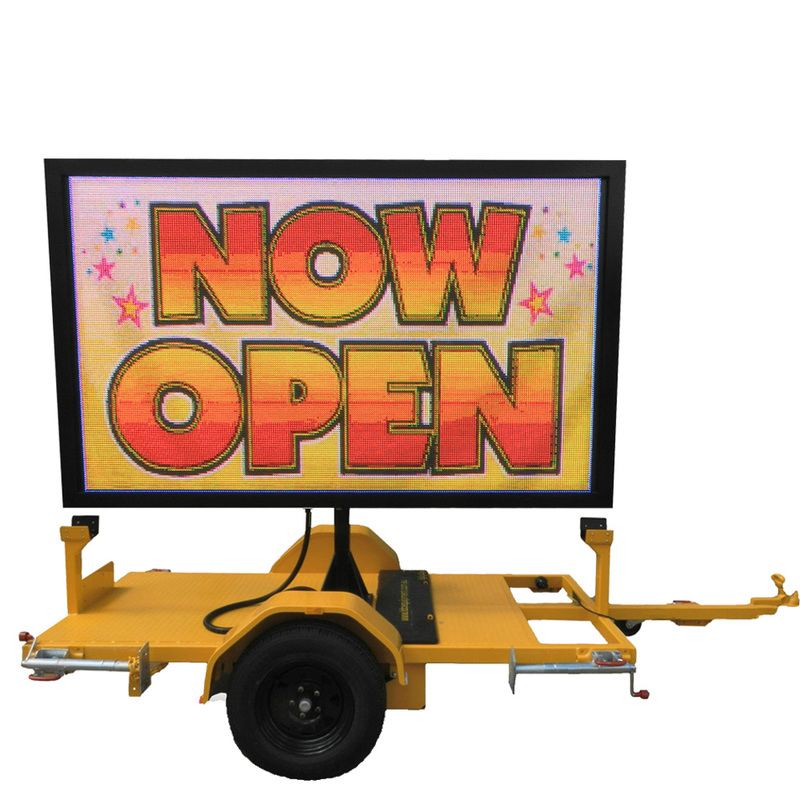 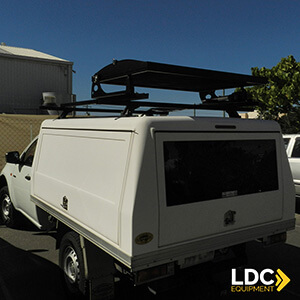 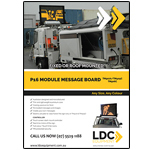 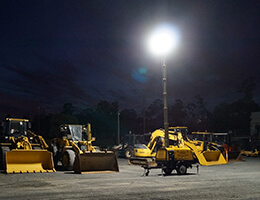 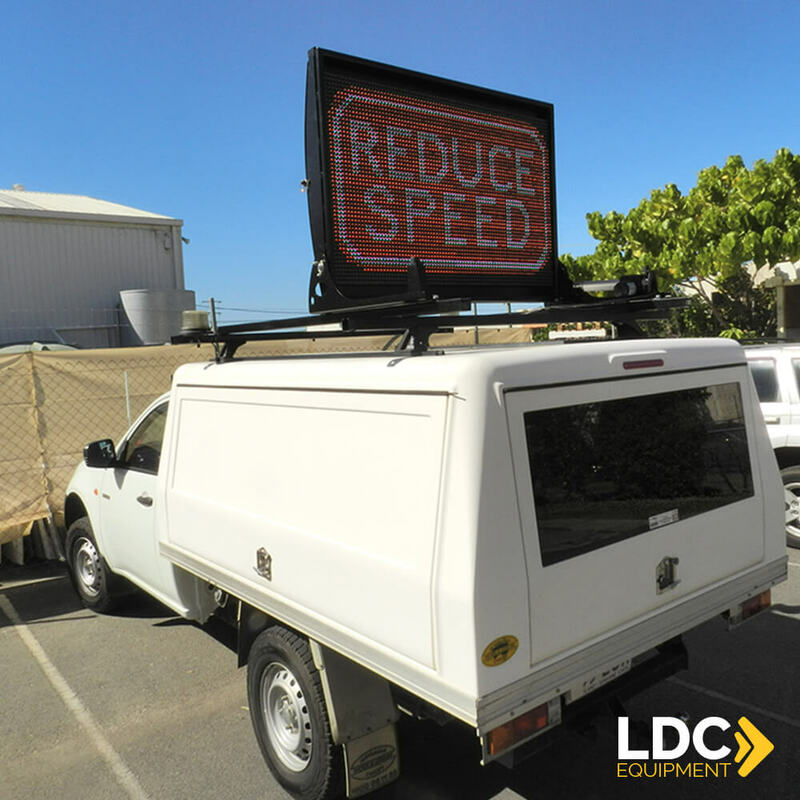 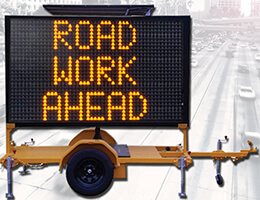 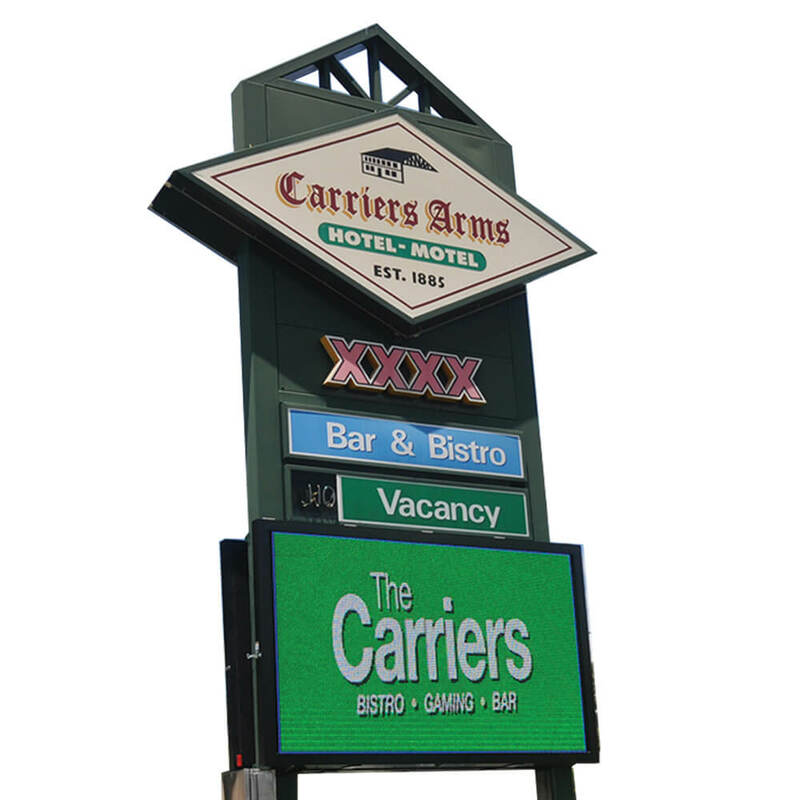 Our top selling vehicle mounted Variable Message Sign is suitable for mounting on utes and trucks and simply bolts to roof racks (or other structure). 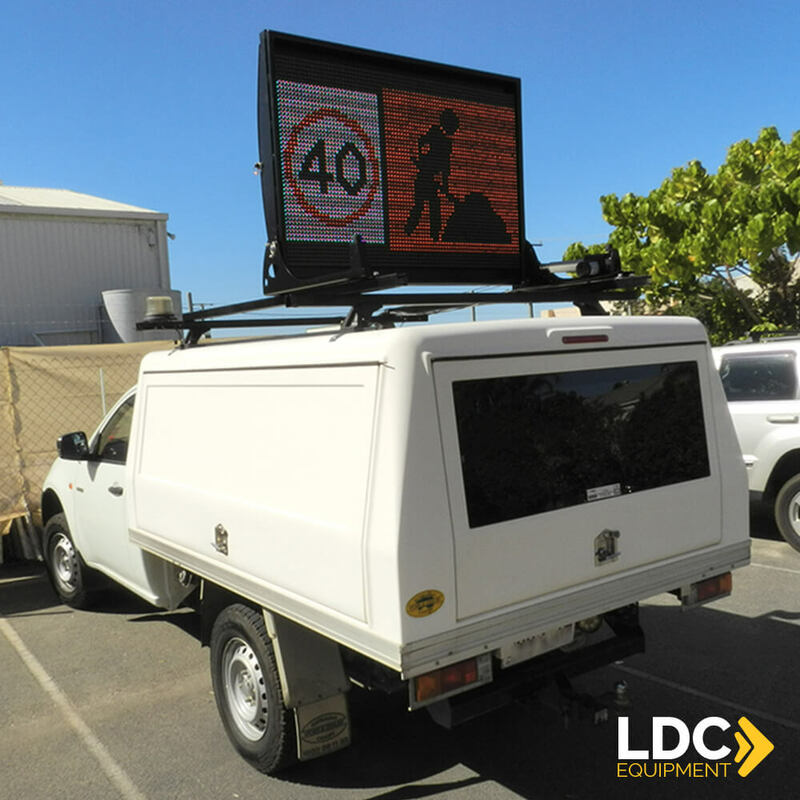 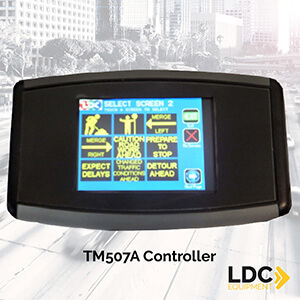 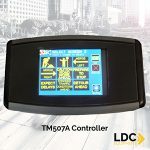 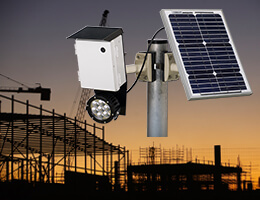 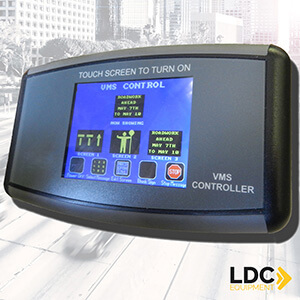 Our Vehicle Mounted VMS Boards; The TM405C (C for Colour) and TM506C are standard with an intuitive, full colour touchscreen dash controller which will raise and lower the sign automatically via an electric actuator. 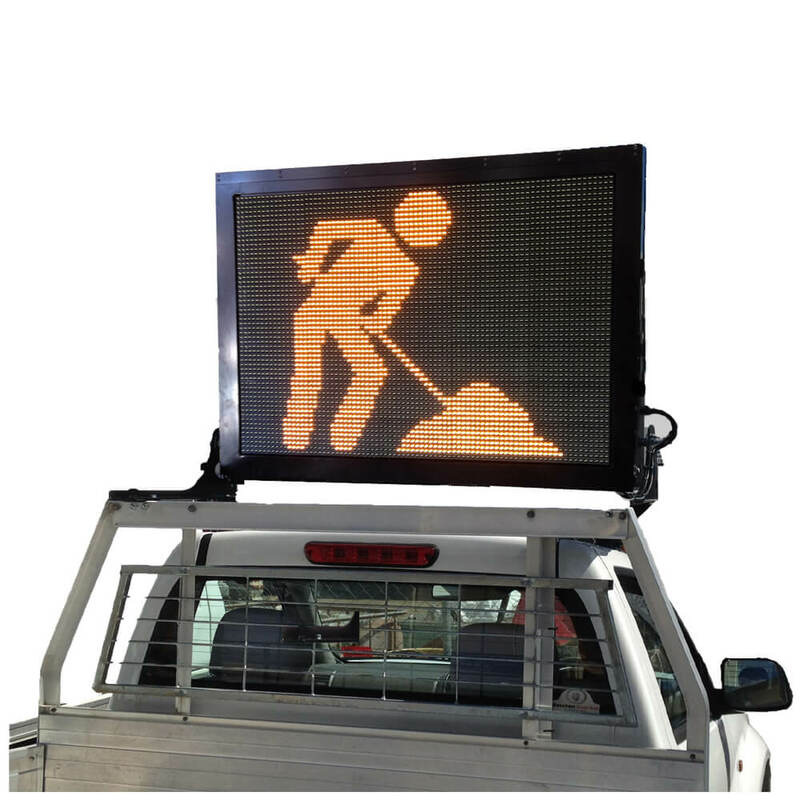 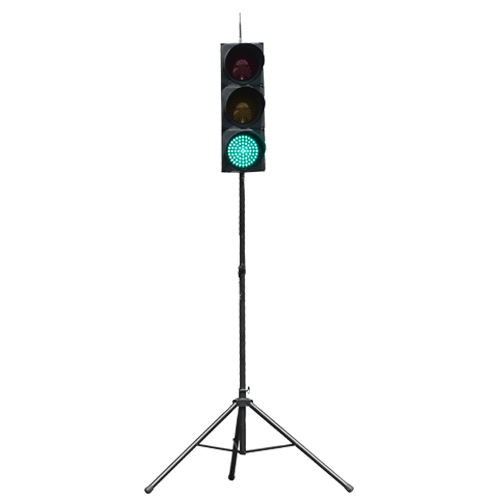 The sign has a pixel pitch of 16mm and is capable of displaying up to 4 lines of text.